Item Number: 116-4-09 18599 Actual Weight: 31 lbs. 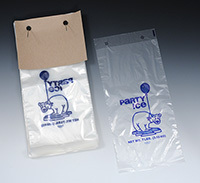 Ice bags are mounted on a wire wicket and can be used with auto ice machines. Lip on bag makes opening easier. 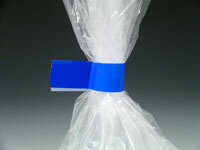 Meets FDA and USDA specifications for food contact. Call for details about custom printing.